Among the many ‘lost’ motorcycle brands that once made headlines and won races, OK Supreme has become one of the most obscure. In the 1920s and ’30s, though, they were a well-known British make, with some of the best graphic transfers in the industry, and a string of podium finishes in the Isle of Man TT. 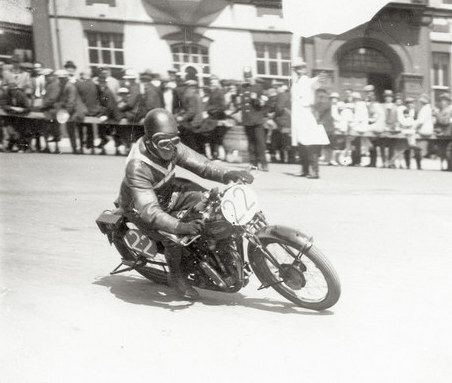 They had only one win on the Island, though, in the 1928 Lightweight TT (250cc), with Frank Longman riding. The OK firm was founded as a bicycle manufacturer in 1882 by Ernie Humphries and Charles Dawes. This was 3 years before the introduction of the ‘safety’ bicycle, so the first OKs were high-wheelers, although by 1899 they were building in the modern chassis style, and experimenting with adding engines to join the nascent motorcycle scene. 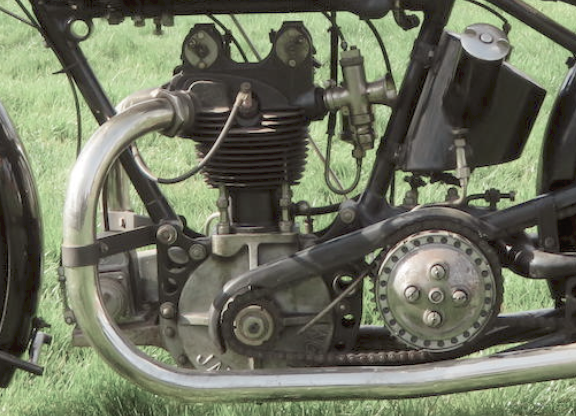 It wasn’t until 1911 that they offered a proper motorcycle, using a 2-stroke Precision engine, and over the next few years they offered motorcycles with a variety of engines, from Precision, DeDion, Minerva, and Green. They entered the Isle of Man TT for the first time in 1912, only their second year of motorcycle manufacture, and earned 9th place. Race wins were considered the best advertising for British brands in the ‘Teen and ’20s, and the competition was keen. Most competitors in the era used bought-in racing engines from JAP, Blackburne, MAG, or Bradshaw, giving them special tuning at the factory, and designing a chassis around them. In the 1922 TT, OK racers placed sixth and seventh using JAP engines, with the fastest lap being set by Wal Handley at 51 mph (82 km/h), but typically for Wal, who did better at Brooklands, he failed to finish the race. In 1926 Charles Dawes left the company to return to bicycle manufacture, and the firm was re-named OK Supreme. The newly-named OK-Supreme had inspired tank graphics! Perhaps the addition of ‘Supreme’ did the trick, for in 1928 they finally won the Lightweight TT, using a racing JAP engine. OK Supreme had a troubled practice period before the TT, as their new duplex-tube frame designed by G.H. Jones proved fragile, so Jones actually returned to the factory in Birmingham to fetch the previous year’s racing frames, a traditional 1920s open-cradle design with the engine acting as a stressed member, with a triple-stay rear end to aid stability. The frame swap was slightly problematic, as the factory had already submitted paperwork for the machines with the A-CU for the ’28 TT, so the 1927 frames had their VIN numbers stamped over by Jones to match the entry paperwork. Despite the trouble during practice, the 250cc JAP racing engine proved excellent. Jones had designed a new cylinder head (still in cast iron) for OK Supreme’s JAP engines, with a 12degree downdraught inlet tract, which integrated the recently published gas-flow experiments of both Harry Weslake and Harry Ricardo. The cylinder head proved the critical piece, as much of the Lightweight entry used the same JAP motor, but the little OK Supreme was a flyer. 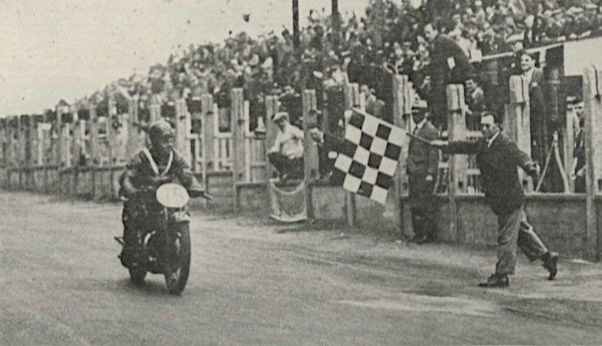 Frank Longman led the race from the green flag to the checkered flag, and averaged 62.9mph, which was a mere 0.32mph slower than the 500cc Senior TT-winning Sunbeam (but to be fair, the Senior was run in terrible weather). Longman’s OK Supreme team-mates (George Himing, C.T. 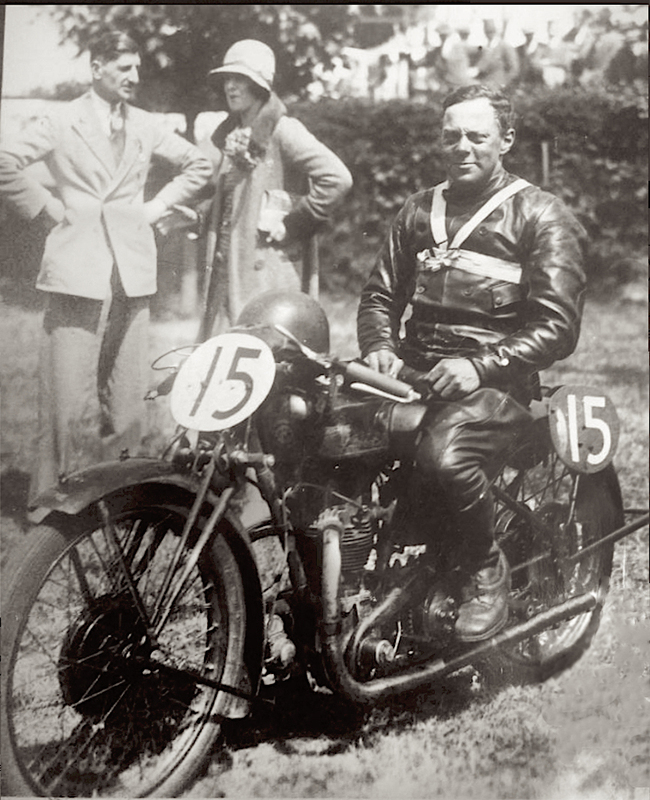 Ashby, and Vic Anstice) came home in 4th, 5th, and 6th places respectively, and only renowned Brooklands competitor Ashby using the new 1928-type frame. 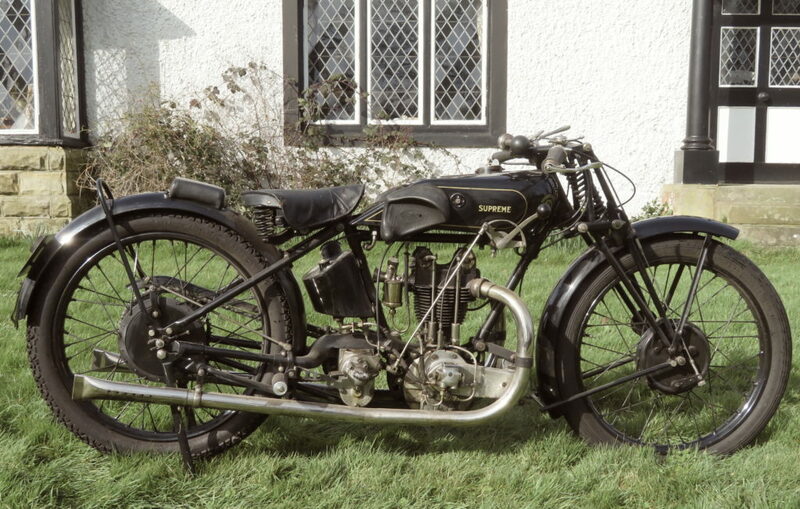 Longman’s TT-winning 1928 OK Supreme has survived nearly a Century in mostly unchanged condition, and was registered for the road in 1932 under the registration CG 1150. 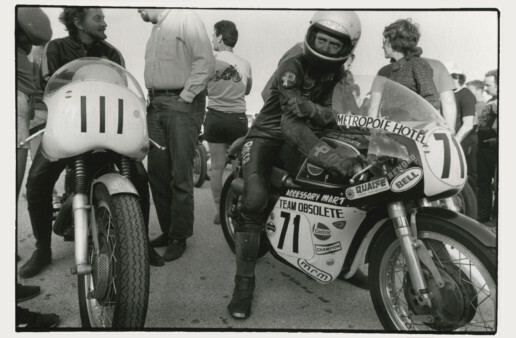 An ex-TT winner must be the ultimate café racer for a Promenade Percy, the name attached to racy young men who rode flashy competition machines on the street… I’ll explore the full history of the Promenade Percy in my next book, coming this fall. Check out my previous exploration of cafe racers for Motorbooks – Café Racers (2014). Frank Longman’s TT-winning OK Supreme 250 is coming up for auction at the Bonhams Stafford Sale on April 27th/28th, and a full writeup on the machine is here. There’s a huge file of history on this bike, and it’s the kind of documentation of a bike’s provenance you’d hope to find, but so rarely do, with a competition motorcycle. The Bonhams catalog is online, and choc-a-bloc with amazing stuff – bikes and parts and projects and ephemera. “PURSUING the meal-time analogy, the 250 c.c. 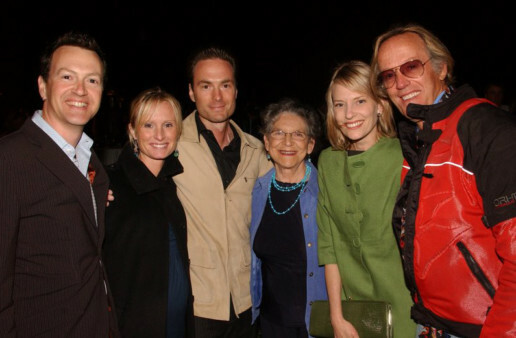 race should, perhaps, be described as the” soup” of T.T. week, though this year it would have been more appropriate if the Junior race were described as “cocktails,” the lightweight as the hors d’oeuvres, and the Senior as the soup—in which element the riders were certainly involved! The Lightweight entry list promised a fierce tussle between Handley (Rex-Acme) and Bennett (O.K. Supreme), but during practice it became apparent that Frank Longman was seriously to be reckoned with, whereas Handley seemed to be treating this year’s races with considerable diffidence. As the starting hour approached, it was realised that a large part of the course was thickly covered with mist—a state of affairs familiar to “amateur” competitors, but strange to “pukka” T.T. riders. However, mist or no mist, the twenty-five riders were sent off on their race with time and each other. During lap one the clocks showed that Handley, who elected to return to a Blackburne engine for this race, Porter, and Longman, were making good progress, each having overhauled one or more earlier starters. Handley completed the first lap first in just over 36 minutes, which seemed adequate in view of the poor conditions. However, when the whole field had passed, it was found that Frank Longman was actually nearly a minute ahead of the Rex-Acme, while another O.K. (Vic Anstice) was running third. 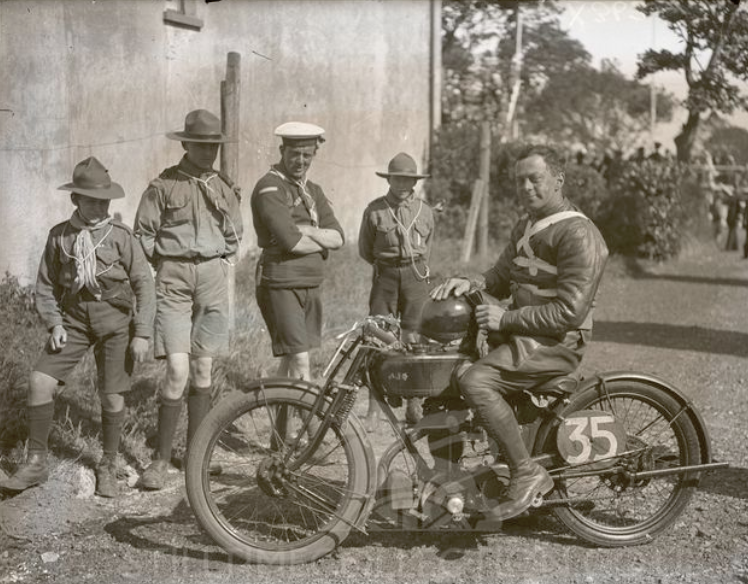 Barrow (Royal Enfield), Meageen (Rex Acme) and E. Twemlow (Dot) completed the leading sextet. Alec Bennett had evidently experienced trouble as he was not in the leading dozen, and after a very slow second lap, he retired with baffling ignition trouble. Thus, the issue was simplified, and for five laps Longman drew steadily away from Handley who, in turn, drew slowly ahead of the field, led by the consistent Hampshire rider, C. S. Barrow. Anstice, Twemlow, Meageen and Himing (O.K.) were the other riders in the picture while Handley was fighting his losing battle, all of whom were riding steadily at about 59 m.p.h. A little rain fell during lap two, but in spite of this, Longman put in a record lap at 64.45 m.p.h., and from that time onwards the weather conditions steadily improved until visibility and road adhesion became practically normal. Somewhere on the Mountain during the sixth lap Handley’s motor ceased, and he coasted home to retire, thus leaving Longman with the substantial lead of 14 minutes over Twemlow, who, for the moment, was ahead of Barrow, whose engine was misfiring slightly. C. T. Ashby on his four-speed O.K. was now fifth, while Anstice who had run out of petrol at Governors Bridge yet managed to keep in the first six. During the last lap, Longman still further increased his lead and Barrow’s Enfield recovered sufficiently to repass Twemlow and finish second–by 25 seconds only. Thus, Longman at last reaped his deserved and long overdue victory by an almost unprecedented margin. The performance of the O.K.-Supreme was altogether remarkable, and but for Bennett’s unfortunate retirement they would have won the team prize. Eleven finished, the following nine gaining replicas. OK. Supreme is indeed a forgotten brand. I have a small collection of this manufacturer.